Citizens in Space has joined the lineup for MakerCon, which takes place at the Oracle Conference Center in Redwood City, California on May 13-14, 2014. MakerCon is a premiere event organized by Maker Media, publisher of Make magazine and producer of Maker Faire. MakerCon brings together the leaders at the forefront of the maker movement. The conference provides new insights into local and global manufacturing, design, marketing and distribution, and diverse funding options to help makers bring their products to market. Edward Wright, founder of the United States Rocket Academy and program manager for Citizens in Space, will speak on “Citizen Science and Citizen Space Exploration.” Citizens in Space has acquired a contract for 10 flights on the Lynx spacecraft, which is currently under construction by XCOR Aerospace in Mojave, California. Wright will discuss opportunities for makers to fly experiments through Citizens in Space and opportunities for citizen astronauts to fly as payload operators. Other featured speakers at MakerCon include Carl Bass, CEO of Autodesk; Massimo Banzi, co-founder of Arduino; Brook Drumm, co-founder and CEO at Printrbot; Eric Klein, partner at Lemnos Labs; Peter Hirshberg, CEO of The Re:imagine Group; Connie Hu, CEO of ArcBotics; Kevin Kelly, founding executive editor of Wired and founder of Cool Tools; Jason Kessler, Asteroid Grand Challenge Program Executive at NASA; Eric Pan, founder and CEO of Seeed Studios; Jose Gomez-Marquez, principal medical device designer at MIT’s Little Devices Lab; Brian David Johnson, futurist at Intel; Mickey McManus, CEO of MAYA Design; Edward Screven, chief corporate architect at Oracle; Yancey Strickler, co-founder and CEO of Kickstarter; and Leon Wong, director of market strategy at Xerox PARC. MakerCon is presented by Intel and hosted by Oracle Corporation. More information, including a complete list of speakers, is available at www.makercon.com. Registration is available at www.makercon.com/attend. Early-bird registration rates expire on April 27. This video, released by the B612 Foundation, shows an alarming number of explosions (both air and ground bursts) due to asteroid strikes, recorded during the period between 2000 and 2013. SpaceX successfully launched a Falcon 9 rocket today, on the CRS-3 mission to the International Space Station. The Falcon 9 successfully deployed its secondary CubeSat payloads, and the Dragon capsule is now on its way to ISS. The hoped-for test of the Falcon 9 first-stage recovery may not be successful, however. SpaceX founder Elon Musk said the chances of recovering the first stage were not looking good due to high sea states. (Waves over six feet have been reported.) SpaceX previously estimated that the chances of recovering the stage on the first test mission were low, probably no more than 20-30%, and several trials will likely be needed to achieve success. Just ahead of the SpaceX 3 mission to the International Space Station, SpaceX conducted a test flight of the Falcon 9 Reusable first stage at its test facility in McGregor, Texas. On April 17, The Falcon 9R reached altitude of 250 meters, hovered, then landed. Falcon 9R replaces the earlier Grasshopper test vehicle, which had only a single engine. SpaceX says the new vehicle is essentially a complete Falcon 9 v1.1 first stage with legs, although some sources claim it has only three engines rather the full nine. During the first test, the legs were fixed, but they will be retracted during future tests. The rocket will move to New Mexico for higher-altitude flights at a more remote site. 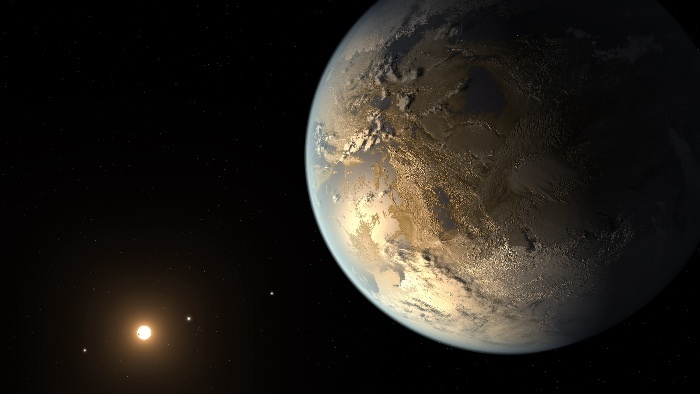 Astronomers using NASA’s Kepler Space Telescope have discovered the first Earth-size planet orbiting a star in the “habitable zone” — the range of distance from a star where liquid water might pool on the surface of an orbiting planet. The discovery of Kepler-186f confirms that planets the size of Earth exist in the habitable zone of stars other than our sun. While planets have been found in the habitable zone before, but all were at least 40 percent larger in size than Earth, and understanding their makeup is challenging. Kepler-186f is more reminiscent of Earth, NASA says. SkySat-1 captured this video of downtown Dubai on April 9, 2014. The video shows Burj Khalifa, the tallest building in the world, which appears to move due to changing perspective during the satellite pass. Jet airliners can be seen flying across the the frame (one is merely a shadow), and cars moving along the highway. Rumor has it that Skybox Imaging may be acquired by Google, so this could be a preview of what we’ll see in a future version of Google Earth. The Northwest Ordinance of 1787 established rules that allowed settlers on the western frontier to form new states under the Articles of Confederation and, later, the Constitution of the United States. At that time, the “western frontier” meant Ohio. Today, the Northwest Ordinance is considered one of the most important pieces of legislation in US history. Just over 200 years later, Representative (and future House Speaker) Newt Gingrich introduced a bill in Congress: House Resolution 4286, “The National Space and Aeronautics Policy Act of 1981.” One particularly interesting aspect of the bill was Title IV, inspired by the Northwest Odinance. Title IV offered a framework for future space settlements to join the Union, first as territories, later as states — just as Ohio and other western settlements joined the Union in the 19th Century. The bill had 13 co-sponsors, but it went nowhere in Congress and the idea of a “Northwest Ordinance for space” quietly disappeared (although Gingrich mentioned it again during his campaign for President in 2012). This bill represents an early attempt to answer questions of governance in space, which will inevitably arise with the establishment of the first permanent space settlements later in this century. All persons residing in any community in space organized under the authority and flag of the United States shall be entitled to the protection of the Constitution of the United States. inhabitants, on giving due proof thereof to Congress, they shall receive from Congress authority with appointment of time a place to call a convention of representatives to establish a permanent constitution and government for themselves. Shall then be in any one of the least numerous of the United States such community shall be admitted as a State into the Congress of the United States on equal footing with the original states. Title IV could be seen to conflict with the Outer Space Treaty, which prohibits nations from making claims of national sovereignty on celestial bodies. So, modifications to the Treaty would be needed. 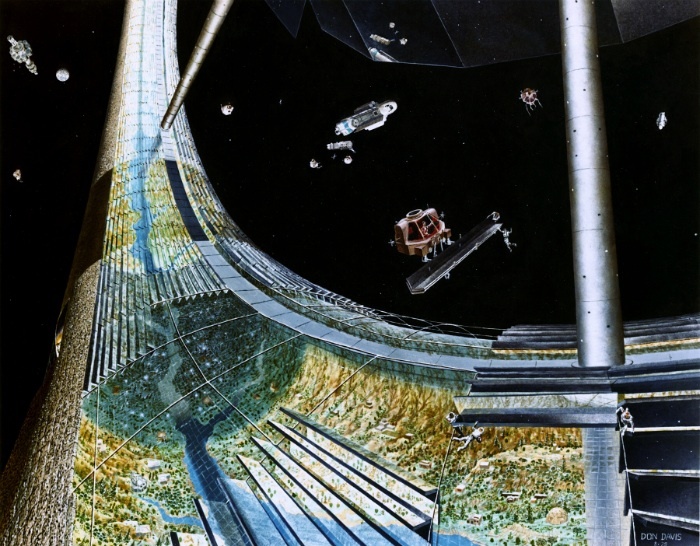 It would need conflict, however, in the case of orbital or free-space settlements, such as those proposed by Professor Gerard K. O’Neill, which are not tied to the surface of a celestial body. This is an example of the type of legislation Congress could pass which creates incentives for private enterprise to develop space, without costing the taxpayers any money. Unfortunately, Congress shows little interest in such far-sighted legislation today, and “space policy” centers around uninspiring questions such as which heavy-lift vehicle to build. 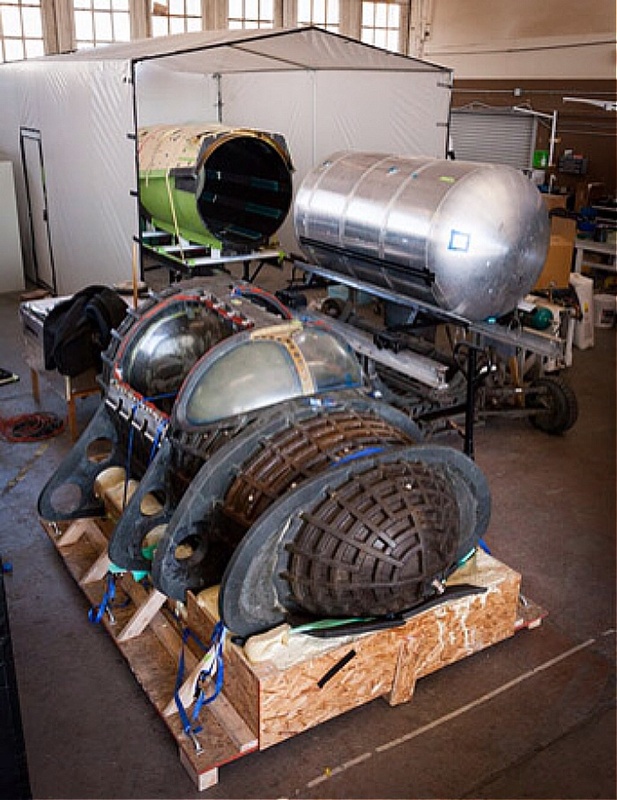 XCOR Aerospace has received the Lynx Mark I cockpit from AdamWorks, Inc of Centennial, Colorado. XCOR selected AdamWorks to build the carbon-fiber cockpit in August 2012. AdamWorks also built the main components of of the internal pressure vessel for Sierra Nevada Corporation’s DreamChaser flight-test article, as well as numerous other aerospace projects. 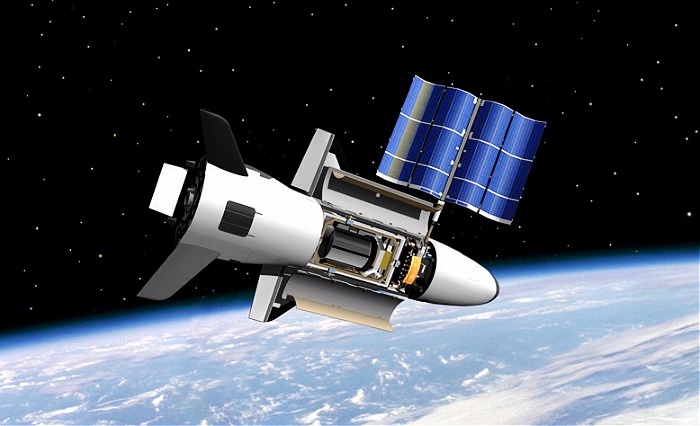 Will the Air Force Have a Role in Deep Space? Lieutenant Colonel Peter Garretson asks whether the US Air Force will have a role in planetary defense and asteroid mining, in the March-April 2014 issue of Air and Space Power Journal. Despite its potential severity, few Airmen seem to have an appetite for a subject not perceived as “real” war fighting and considered a “low-probability event.” An earlier cadre of Air Force Space Command advocates [submitted] a package to the Joint Requirements Oversight Council to establish a formal mission requirement. In accordance with the wisdom of the time, the council denied it. Let’s repeat that: no requirement to protect planet Earth exists. To achieve an initial operational capability against asteroid threats, Garretson argues that the USAF should complete a survey of Near Earth Objects using a space-based telescope in a Venus-like orbit (estimated to cost about $500 million) and develop ready-to-launch reconnaissance probes (about $150 million each) and interceptor busses (about $250 million each). Developing the requisite technology allows the Air Force to play a role similar to its function in aviation, whereby the service’s investment in jet engines and large aircraft catalyzed intercontinental air transport—a mode of transportation that now accounts for 35 percent of global trade by value. By retiring the risk for deep-space transportation and noncooperative capture and deflection, we not only would advance Air Force and US security equities in concert with pursuing a global public good, but also would lay the foundation for a revolution in space transportation and wealth generation. If we wish to become the visionaries who lead America toward becoming a true spacefaring nation—one that survives such long-term existential threats as asteroids—then we must pursue not simply narrow military power. Just as Rear Adm Alfred Thayer Mahan set us on the right course in naval power and as Brig Gen William “Billy” Mitchell did so in airpower, we need to invest in general spacefaring and its supporting industry. 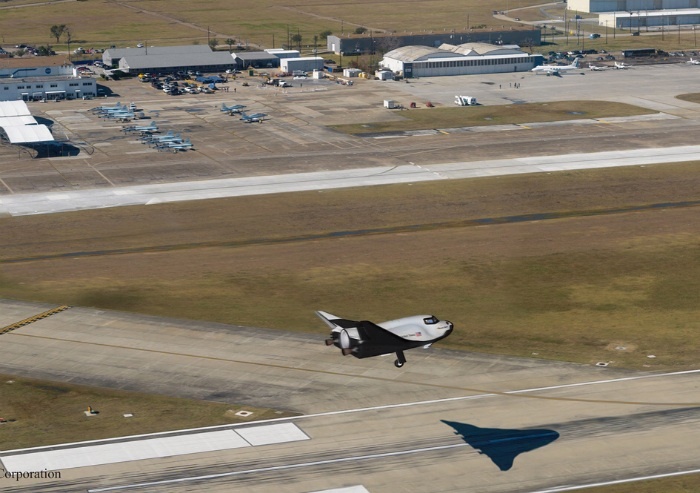 The Air Force is missing the boat (or spacecraft). If the service truly wants to be America’s Space Force, it can’t shy away from this “growth industry” and what will likely become the most essential defense mission of a space force / space guard: planetary defense — the single mission that provides a deep-space requirement. To cede this requirement is to fall into the same precedent as the Army Air Corps, which conceived of airpower as nothing more than a supporting function for land power. A space force cannot just look downward; it must look outward to the source not only of danger but also of wealth and opportunity. 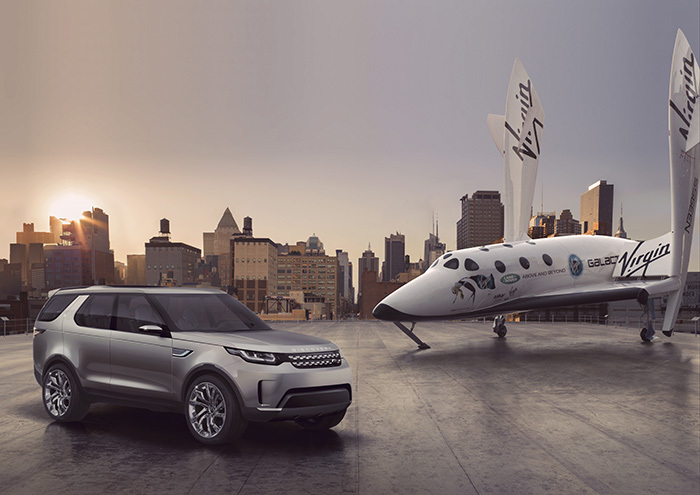 Before he was recruited by XCOR Aerospace, Brian Binnie gave Forbes magazine adventure columnist Jim Clash this interview about winning the Ansari X-Prize. Jonathan Oxer from Freetronics talks about the Ardusat project and shows his Arduino-based cluster board for running Arduino sketches in space. Recorded at the Melbourne Connected Community Hackerspace.